With this website we are aiming to help you find all the information you need at the click of a mouse. You can order repeat prescriptions online, download registration forms, change the contact details we hold for you and much more. There is a wealth of information about medical conditions and diseases in our patient information leaflets as well as all the latest Practice news and developments. We are always looking to improve our services so leave some feedback on our contact page. We hope that with your help and co-operation we will be able to make this website a better place for all your online needs. 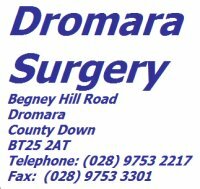 New Surgeries We now have surgeries on Wednesday afternoon and on alternate Thursday evenings. Please contact Reception to book an appointment.